As the BS III vehicles have been banned from selling by Supreme Court from 1st April, 2017; two-wheeler manufacturers in the country are offering huge discounts and cash benefits to lure the customers and to reduce their stocks. The deadline for the BS III sales is 31st March and all the companies are rushing to sell as much as possible BS III vehicles within that time. Honda Motorcycle and Scooter India Pvt. Ltd is offering Rs. 22,000+ discount on its CBR 150R and 250R models. Apart from that, the two-wheeler manufacturer is also offering up to Rs. 10,000 cashback offers across its entire range. The biggest two-wheeler manufacturer in India, Hero MotoCorp is also not far behind. It is offering cashback offers ranging between Rs. 5,000 and Rs. 12,500 along with free insurance as well. Hosur-based two-wheeler maker TVS too is offering its popular bike Apache RTR180 with discount up to Rs. 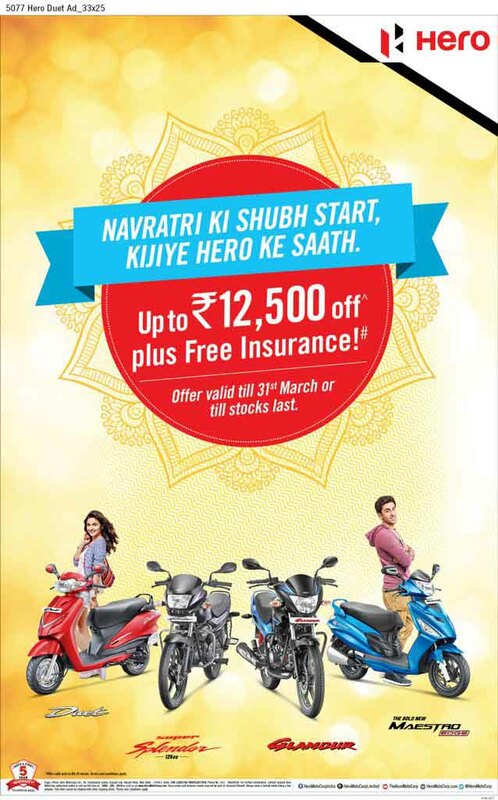 12,000, while the TVS Jupiter scooter is being offered with a discount up to Rs. 10,000. However, only those customers who live in cities where registration of BS III vehicles has been allowed till now will be able to get this discount and other cash benefits. Due to the ban on the BS III vehicles by Supreme Court, Indian automobile industry is about to face huge loss. As a result, the automakers in the country are left with a stock of around 9 lakh BS III vehicles, which could lead to a loss of around Rs. 12,000 crore, if left unsold after 31st March, 2017. Also, the customers who are rushing towards buying BS III vehicles after being attracted by the discounts and other cash benefits could face problem reselling their vehicles in near future, because in 2020, Indian automobile market will leap to BS VI emission norm from BS IV regulation.